Skip the Wait With the DPS for Your Road Test! Available early morning (before school), afternoons (after school), evenings, and weekends. Limited openings, so schedule your appointment now! To schedule your road test appointment with Patrick Barrett, use our online scheduling form below (24/7/365) or call 800-562-6405 during office hours, 9:00 AM to 5:00 PM (Central Standard Time), Monday through Friday. 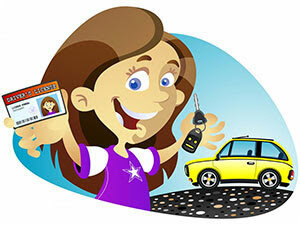 You can take your road test at one of our two locations! Just select the time and/or location that is most convenient for you from the two options below. Then you will be taken to the online booking calendar for that location, where you can choose the next available appointment that best ts your schedule! Need a Road Test on YOUR schedule? Click Here!